The Queen of the night is discovered, this time towards the end of the summer to better savor the post-season and these closing parties, her deserted beaches of hordes of tourists and temperatures more bearable with always hot water. 210 kms of beaches, one of the oldest cities in the world, a culture of celebration and hospitality from the 70's, give this island a unique and captivating charm, like a setting sun during the summer Indian. 7 days paddle and sail cruise. 1550€ a week all included. Fill this form to reserve your curse ! See you soon on Rent-Sup ! click on "book now" to pay the deposit amount and reserve your place on the curse. We leave the bustling city of Ibiza after welcoming the crew. We go to the paradise island of Tagomago to spend the first night at anchor. 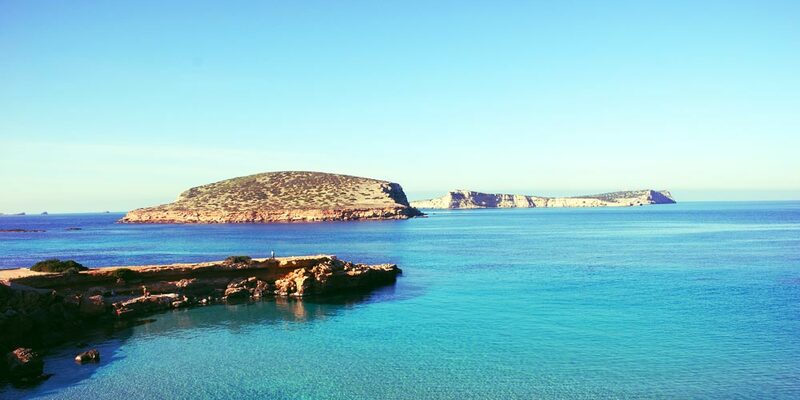 In the morning, we reach Calla Portinas and explore in paddle its surroundings. 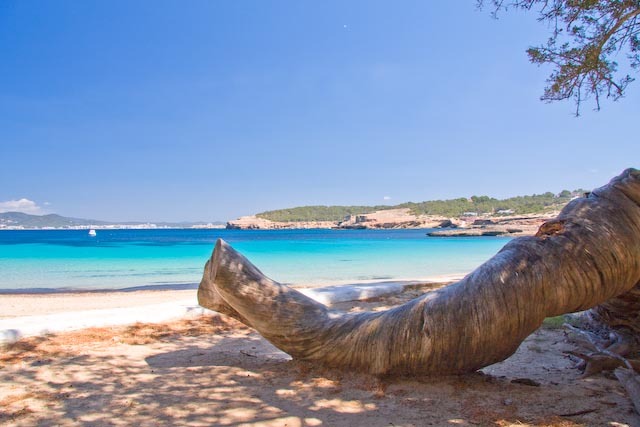 Later we sail to Cala Salada and its enchanting shore. 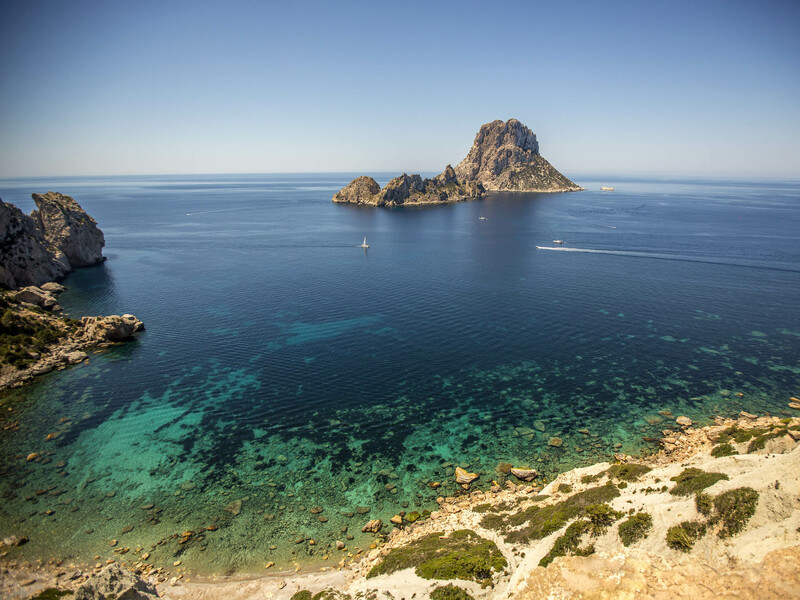 A few hours away are Cala Tarida and further the magical islet of Es Vedra. In the vicinity of which we anchor to better enjoy paddle scenery fantastic offer these islands. 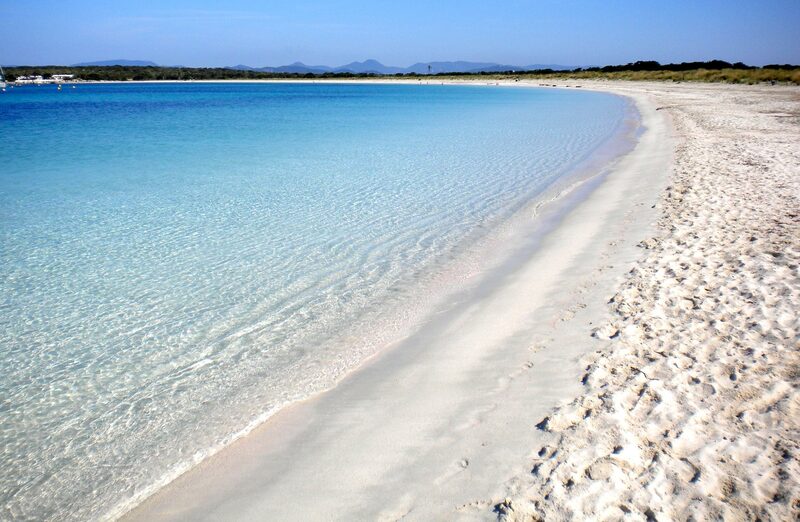 We head for Espalmador and its Caribbean blue waters. Water that is to be furrowed while the boat is at anchor. 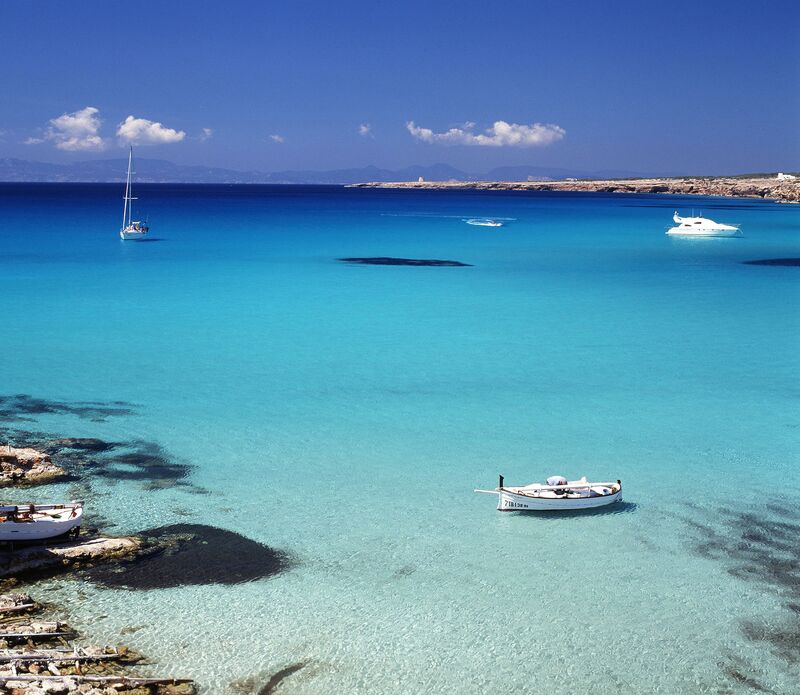 We visit Formentera to anchor in the famous beach of Illette. The next day we will arrive at Cala Saona where we will anchor for the night and jump into the turquoise waters of the Mediterranean. We will continue south and sail around the south of Formentera, through the lighthouses of Barbary and La Mola, and we will arrive at Es Calo de San Agustin and Es Pujols east of Formentera. Then we return to Ibiza. Years of charter in the Mediterranean have allowed us to choose the best places for the paddle. A professional skipper seasoned by 20 years of charter, deliveries worldwide and races, will take you safely close to unforgettable places. We have carbon paddles and a fleet of very recent SUP, ranging from the beginner board to the racing float and adapt their use to our guests. These are recent units chosen for their comfort, reliability and maneuverability to access the best moorings.